Krystal Flash features corrugated fibres that reflect light like no other material. Just a few strands added to a wing or tail give an irresistible effect. 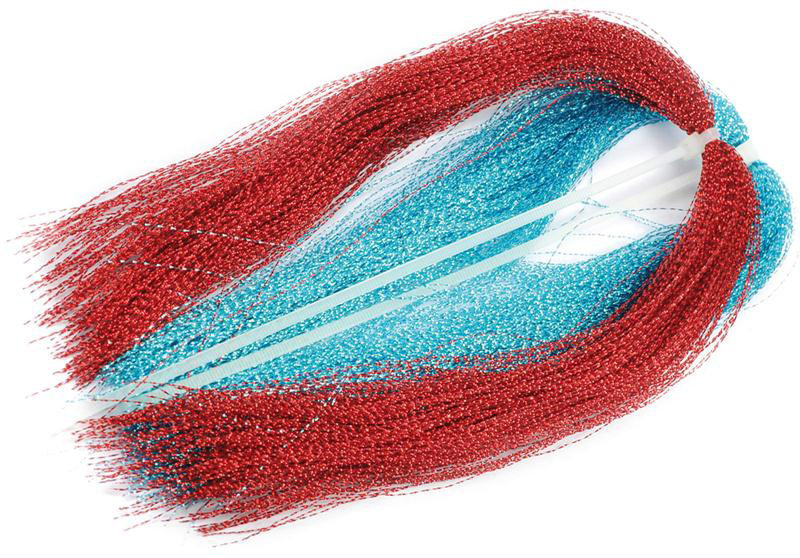 Packed in a re-sealable sleeve, the strands are approximately 25cm (10") long. Mink makes a really good alternative to stoat, and the tails are longer with far more hair. First quality, full tails. Soft and fine fibres that "quiver and shiver" in running water without being moved. Outstanding quality Arctic Fox tail fur for tying Salmon, Sea Trout and Saltwater patterns. Steve Farrar Flash Blends are a blend of Angel Hair and Slinky Fiber and is ideal for creating bait fish imitations. This dyed black silver fox tail is excellent quality with an average hair length of between 90 -110mm. Mirror flash twisted. The light reflecting qualities are unbelieveable.